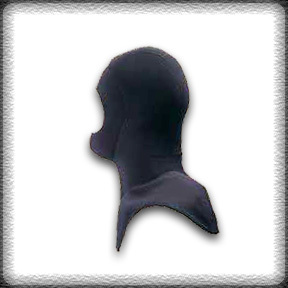 3mm nylon ll neoprene. Comfortable fit and sizing. All edges finished with black nylon binding. 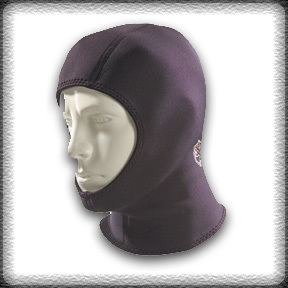 Adjustable Velcroâ„¢ chin strap. 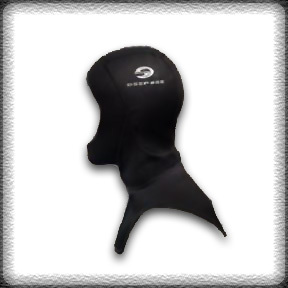 protect diver from sea itch and jellyfish. 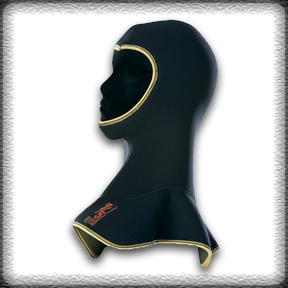 This 1.5MM neoprene SeeHood is constructed with Nylon II neoprene and durable Flatlock seams. Designed for moderate warmth and maximum comfort. 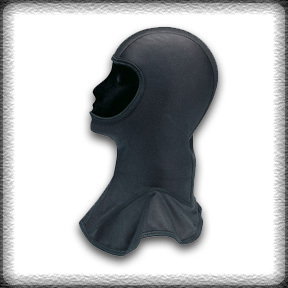 The Henderson Hot Skins hood is constructed of lycra less than 2 mm thick. 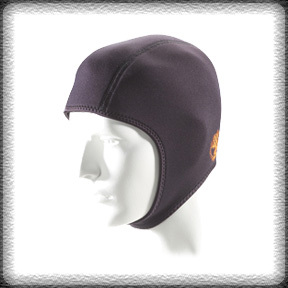 Great for protection from sea lice and jellyfish, plus it provides warmth in tropical to cool waters. Keeps hair under control too! Price: $14.00. Size: One size fits all.